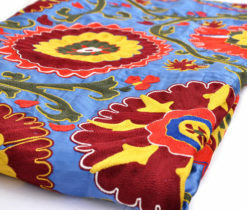 Use anything that comes from naturality to add a natural and refreshing touch to your home. 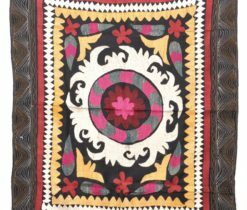 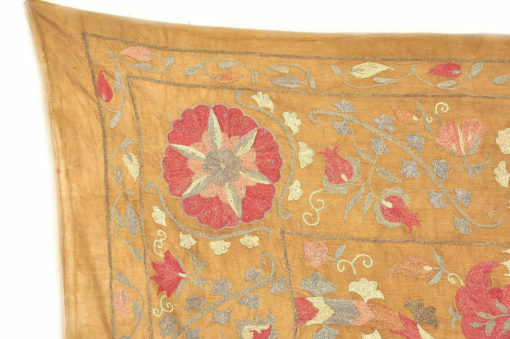 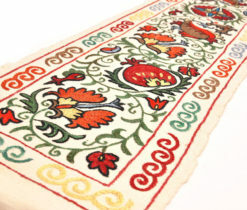 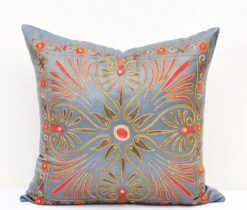 This handmade embroidery cross-stitched suzani tapestry fabric throw is surely crafty stuff from authentic art world. 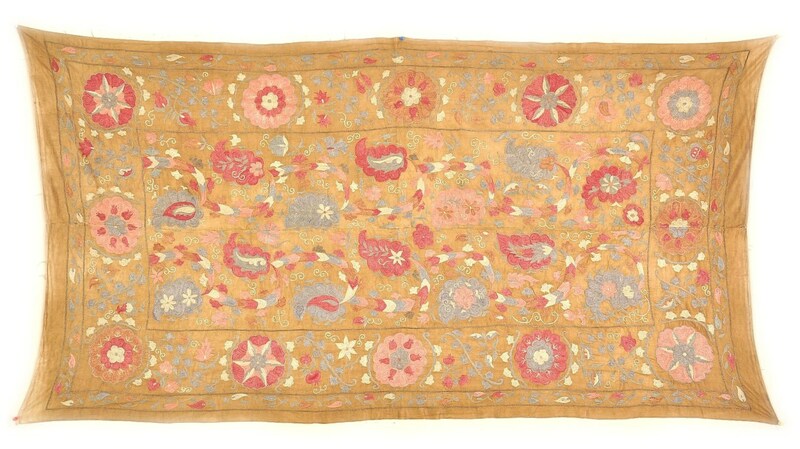 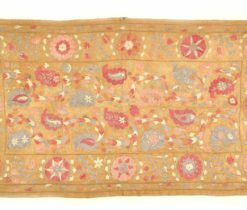 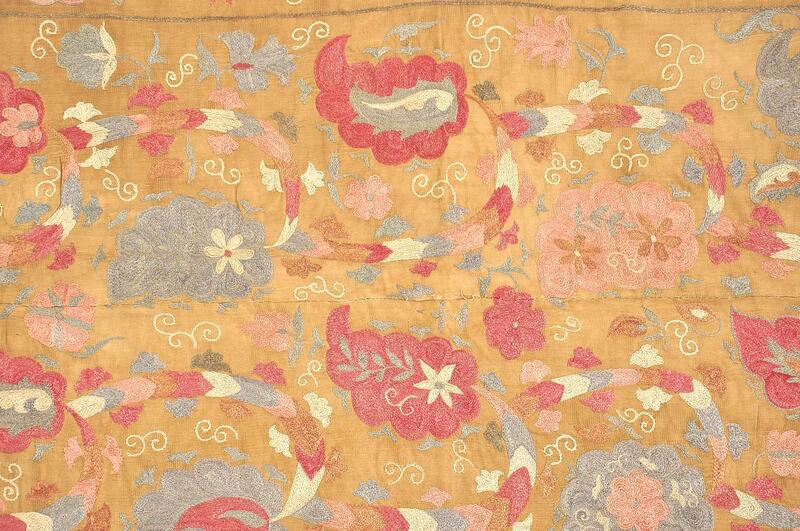 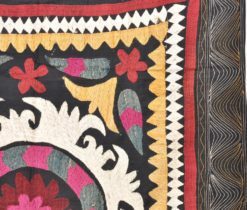 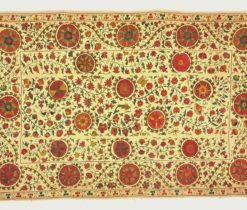 Three adjectives describe this Suzani Wallhanging Tapestry Coverlet. 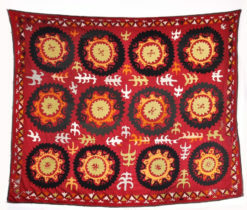 It si smple, elegant and unique. 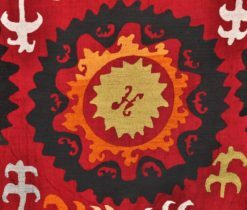 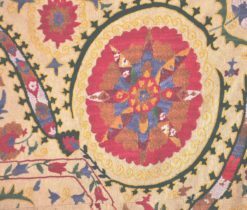 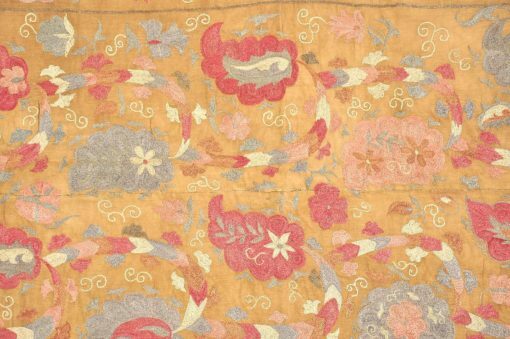 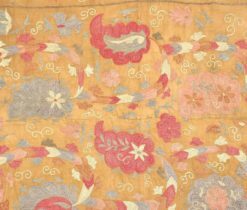 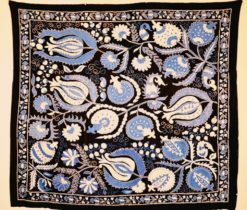 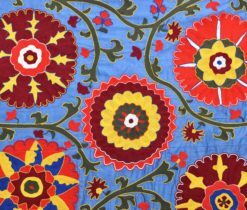 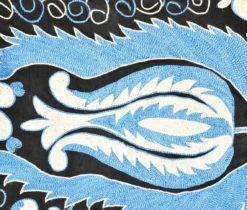 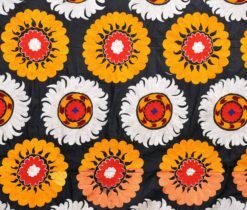 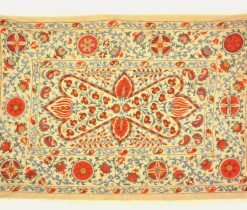 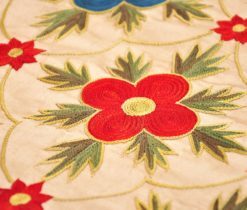 The magical meaning of motives constituting the main, indespensable part of ornament of early embroideries, we should also remind general apotrapic meaning of large decorative embroideries of suzani type. 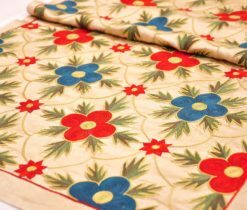 Suzani curtains of wedding room are put onto the head of a bride who leaves for a fiance’s house. 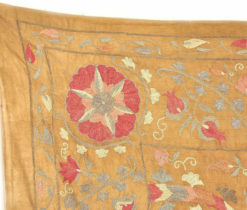 An embroidery work is a special present for her in the form of canopy when she enters wedding room. 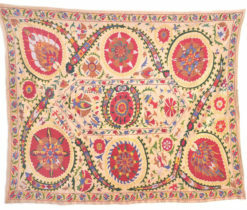 A ruyizdo or a bedspread of the bed of newlyweds, who use it in their further life. 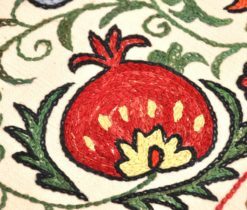 All these rites related to embroideries pursue one goal. 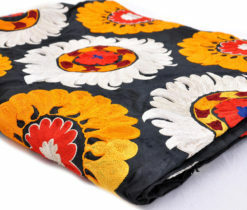 The safeguard a young couple from the magical evil that may deprive them from happiness and children.